Local Versus Global Culture : Be Alive or Destroyed? Dewi Yuliati, Dr., M.A. (2012) Local Versus Global Culture : Be Alive or Destroyed? In: International Seminar Culture Across Perspectives: Contestation Among Global, National and Local Cultures, 20 November 2012, Semarang. 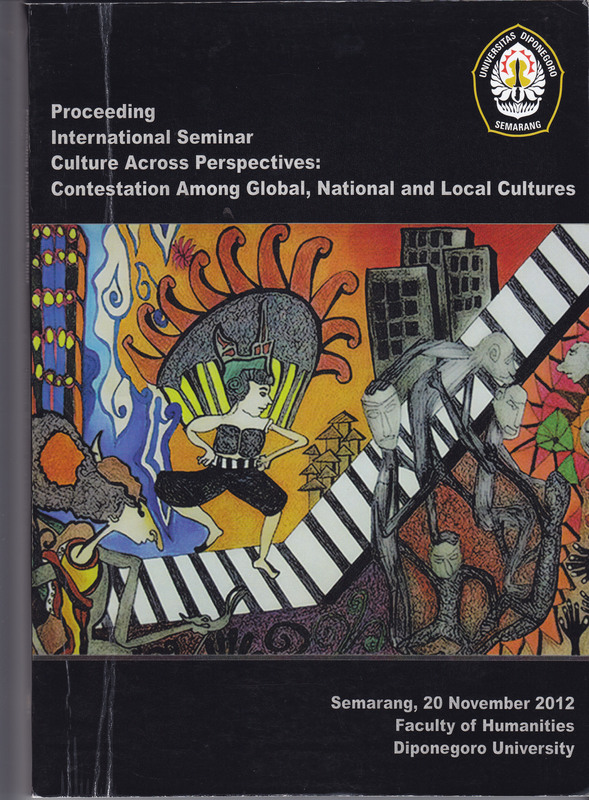 This article presents the discussion about the position of Indonesian local or national culture among the global culture. The Indonesia local culture was always developed by the influences of global culture which entered Indonesia since the pre-history times until the modern era. The conclusion is that there were many threats to destroy the local and national culture, because of the lack of self confidence of the Indonesian people. The national pride should be strengthened and developed continuously, if the Indonesian people do not want to face the elimination of their local or national cultures.